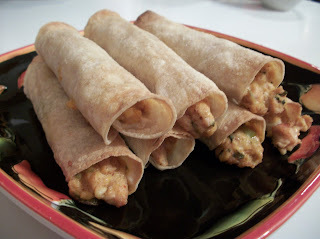 Chicken Taquitos are one of my favorite things to get at a local Mexican restaurant. They're deep friend and delicious, perfect for dipping in guacamole and salsa. But I always felt a little guilty about the deep fried part. And now, I can make my own, baked in the oven, that are probably even tastier than the restaurant version! I love when that happens. The other beautiful part? You can assemble these and then freeze them, and bake them directly out of the freezer. Next time I make these, I will likely double the recipe so I can freeze half. 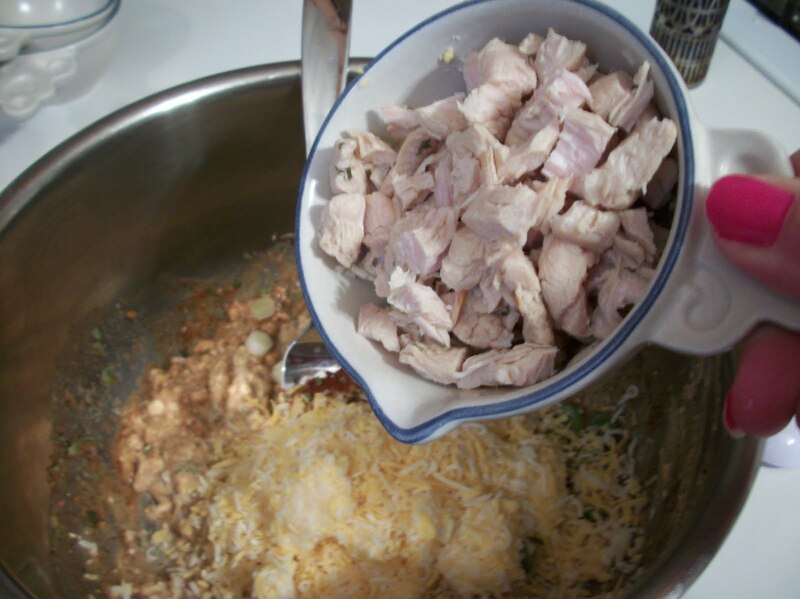 The combination of flavors in this recipe is reminiscent of my all-time favorite Mexican dish, cheesy chicken enchiladas. 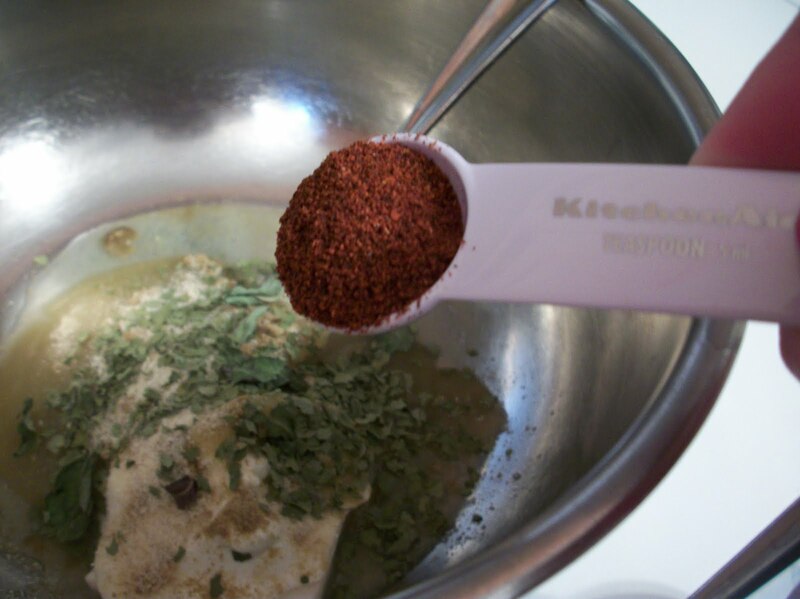 You can adjust the spices, or even the ingredients to your taste. In the future I will try these with leftover shredded beef or pork, or even a vegetable mixture. 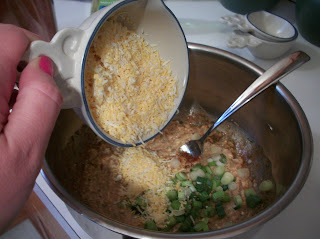 onion powder, green onions and garlic. Now prepare the tortillas. You may have a favorite way to warm up corn tortillas, but my favorite way (and I find it to be the most successful way) is to heat them in a skillet individually. This takes a few more minutes than putting them all in the microwave or oven, but I get much better results, and NO rips. then I just pick it up with my fingers and quickly flip it over. Let it cook on the other side for about 6 seconds and then remove. then roll it up tightly. 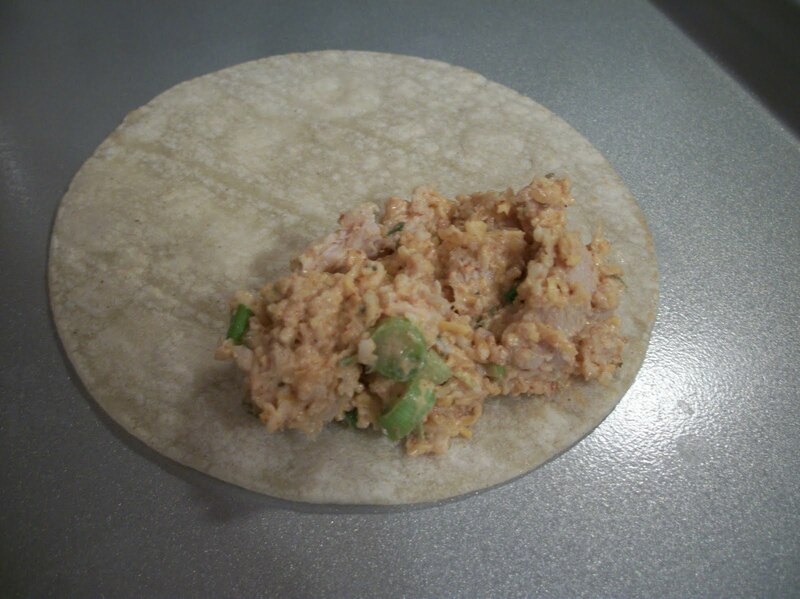 Place the taquito on a greased baking sheet, then repeat with the rest of the tortillas. 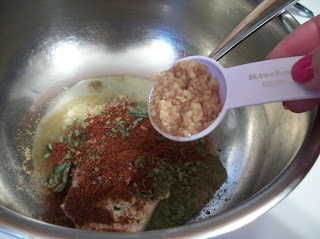 Lightly spray the taquitos with cooking spray then sprinkle with some kosher salt. Bake for 15-20 minutes or until golden and bubbly. Serve with all your favorite accompaniments: chips, salsa, guacamole, sour cream, queso - the options are practically endless! Find more fun food ideas at What's Cooking Wednesday, Whatcha Makin' Wednesday, Real Food Wednesday, What's on the Menu Wednesday, What's on Your Plate?, Full Plate Thursday, It's A Keeper, Cooking Thursday, Pennywise Platter, Made it on Monday. Spray a small skillet with cooking spray and then heat over medium high heat. 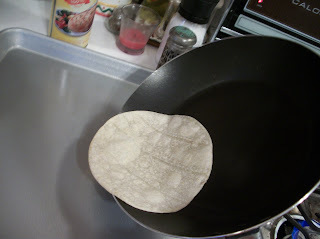 Place one tortilla in the pan and heat for 10 seconds, then carefully flip and heat for 10 seconds on the other side. Remove and repeat with remaining tortillas. Place the rolled tortilla seam side down on a baking sheet lightly coated with cooking spray. 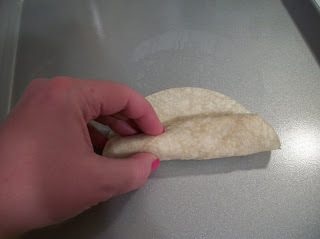 Repeat with remaining tortillas until the mixture is gone. Spray the tops lightly with cooking spray and sprinkle with kosher salt. Bake at 425 for 15 – 20 minutes or until crisp and golden. 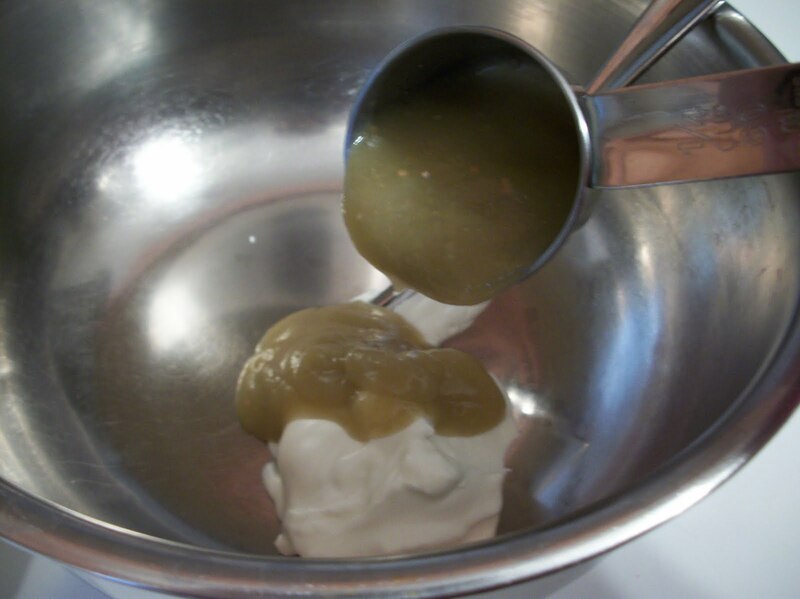 Serve with salsa, sour cream and/or guacamole. Makes 12 taquitos, probably 4 servings. 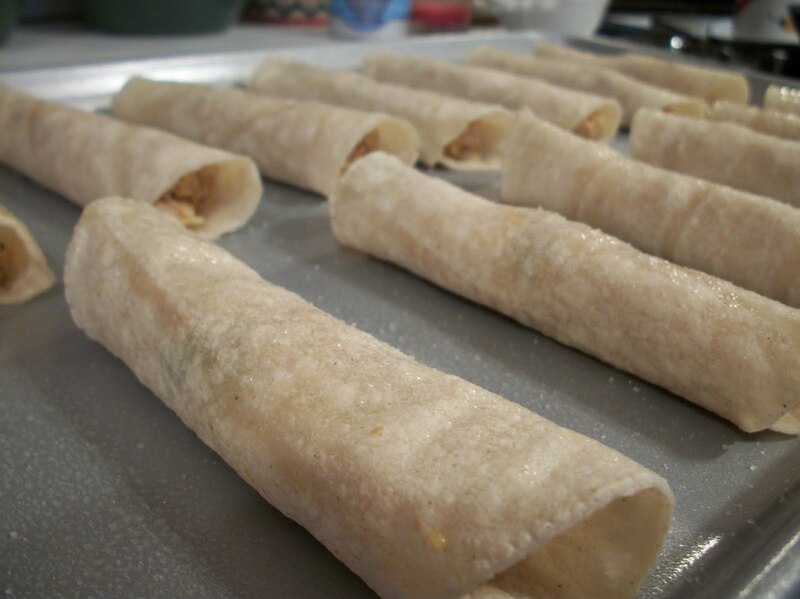 **if you're freezing them, line the rolled taquitos on a baking sheet and freeze til solid, then transfer to a zip top freezer bag. 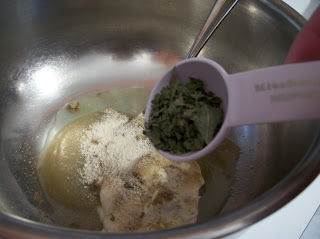 To use, remove as many as you like from the bag and bake at 425 for 20-25 minutes (no need to thaw). I love this recipe and am going to have to give them a try. Good job! Your chicken taquitos sound great! This is something my family would love. I'll have to try them. Thanks for sharing. And thanks for joining in on "Made it on Monday"
I hope you will take a few minutes and look through Lark's Country Heart as well as visit the others who have linked up a recipe. My family is Mexican so taquitos are a real comfort food for me. I have neve baked them before, so I may have to give it a try. By the way, I am over from Pennywise Platters. Great tutorial photos and a really great recipe. We will really enjoy your Chicken Taquitos. Thank you so much for sharing with Full Plate Thursday and hope to see you next week! Yum! I love that I can make and than freeze them for later. These look better then the store bough ones... think I will have to make some.